Last night I decided to make a new version of my previous La Notte. 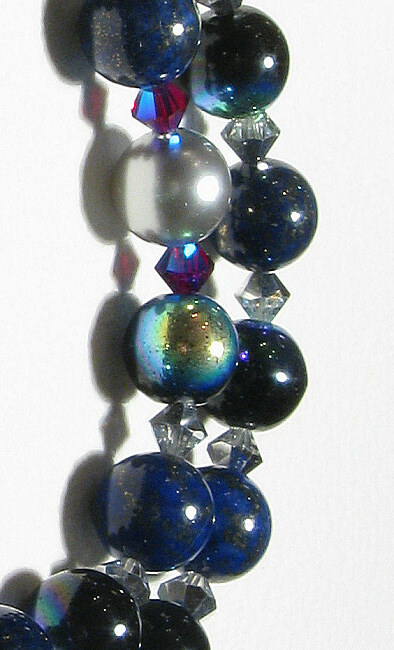 As I do with all new versions, this one is called La Notte 2. 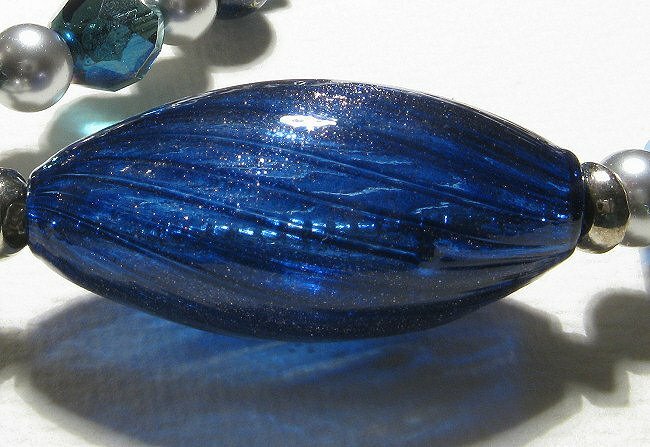 It is not exactly the same, of course, but also departs from the same idea and uses more or less the sane colours. 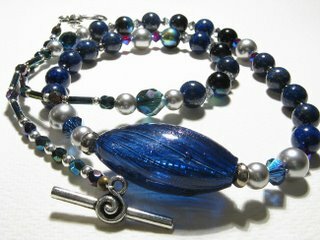 However, where the original displayed golds and dark blue, this instead is all about silver shades. 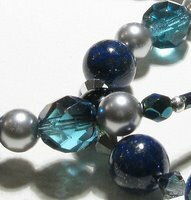 - Tibetan silver toggle clasp. 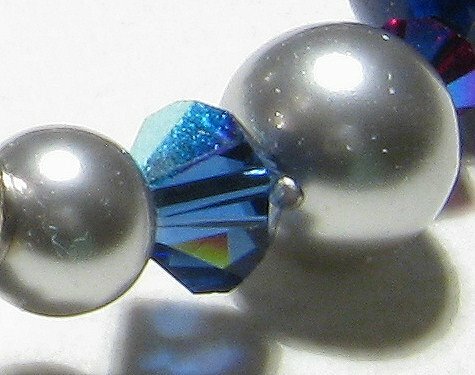 On the left, a close-up of the Luna bead. It seems to be foiled, since its surface is speckled with tiny silver or gold dots, like distant stars. 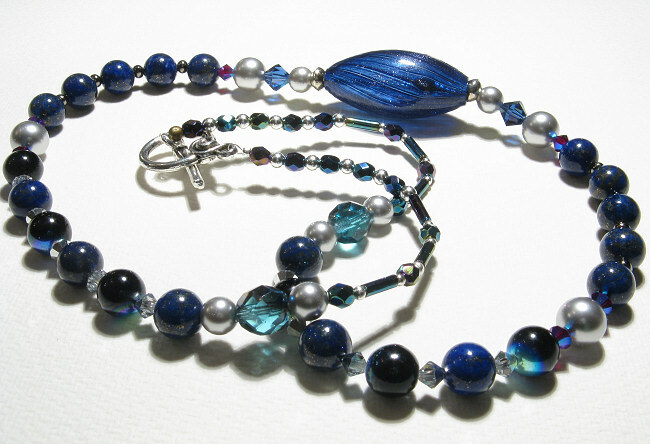 If you click on the picture you will see it magnified and will also notice the Miyuki beads inside. On the right, we can see the lapis lazuli beads, the Czech fire round ones and the Swarovski pearls, all interspersed with Swarovski bicones in comet argent and blue. 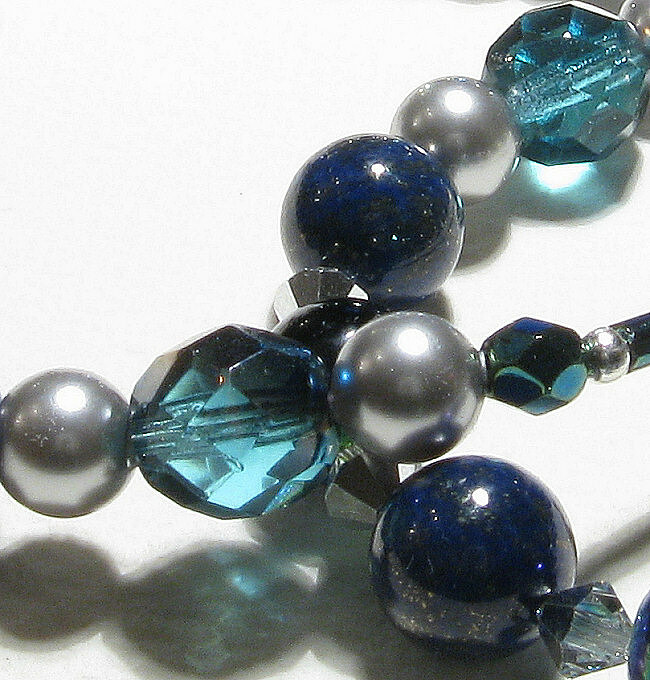 On the 1st picture, detail of those faceted Czech fire beads I mentioned above, Swarovski smaller pearls and bicones. On the 2nd one a very close shot of the pearls and blue bicones with lovely AB (Aurora Borealis) coating. 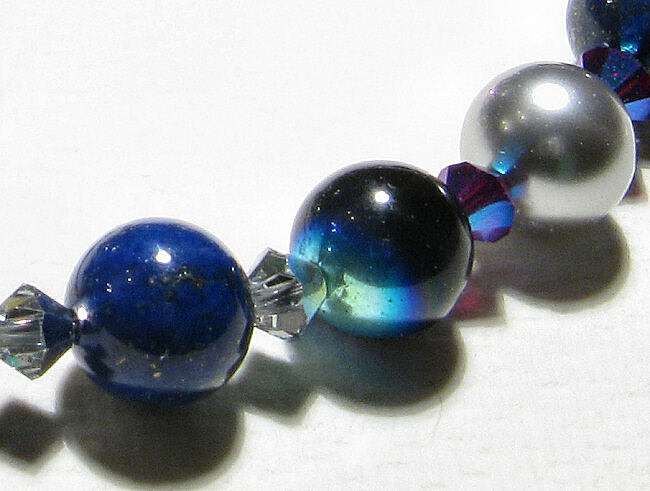 On the left, detail of the Czech fire iridescent beads and the lapis lazuli beads. 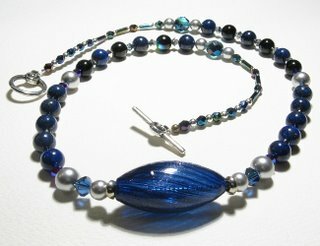 You may notice the gold spots in the lapis, due to the stone's natural impurities. The bicones can be seen as well. 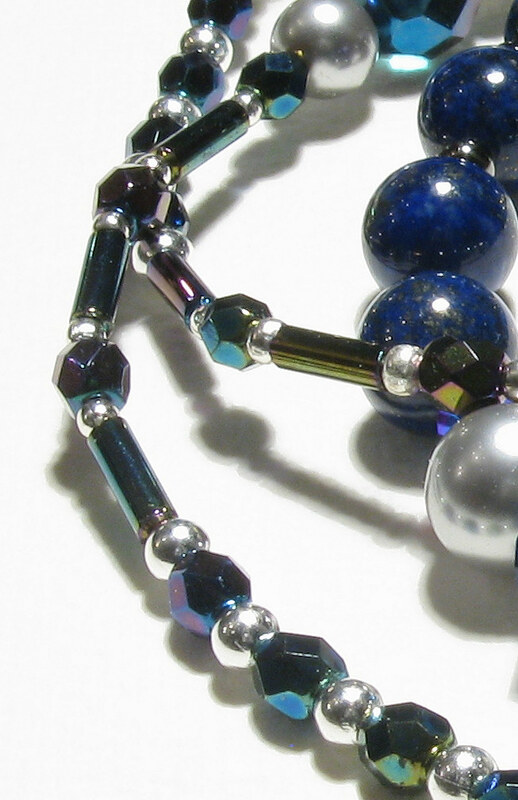 And on the right, detail of the buggles, some spacers, Czech fire tiny "heavy metals" and more of the lapis lazuli.